In this post, you are going to learn how to make online passive income in six different ways and live your life as you want. Most ideas discuessed here doesn’t require any investment. Active income is the money you get for the work you did or going to do. It may be hourly, daily, weekly or monthly. In order to make it recurring, you have to do the work repeatedly. Once you stop working, active income becomes inactive. Passive income is the money you are getting or going to get for the work you did in the past. It recurringly generates income on a term basis. In this case, even if you stop working, your income stream won’t stop. I hope now you are familiar with the complex terms called income, active income, and passive income. Let’s move on to the main topic of this post “How to make passive income online”. Yes, you heard it right! In online Passive income, you no need to buy any physical asset and no need to invest any upfront cost, in order to generate passive income. By the way, you eliminated a major risk called “maintenance”. For example, if you rented out multi-storey apartment you can get passive income in terms of rent. Obviously, it’s your duty to maintain it in good condition and take care of both interior and exterior. It’ll generate income as long as the condition and aesthetic look of the building is good. Once it loses it values it stops generating passive income until you renovate it. If you know the big e-commerce website called amazon then definitely you come across the work kindle. Kindle is a device which allows the reader to read ebooks purchased from the amazon kindle marketplace. In this digital world, people need everything at their fingertip and that lead to great demand for ebooks. You can write an ebook and publish it on kindle to start making an online passive income every month. You don’t have to be a great fiction writer to publish your ebook and there is no prerequisite needed to publish your ebook. As long as you are good enough to write valuable content on your interesting topic, you are qualified to publish your ebook on kindle. If you need guidance on writing and publishing your first ebook check out the video course kindle money mastery created by Stefan James who earn six figures income just from kindle. Ebook of 40-90 pages is attracted more by the readers in kindle marketplace. No need to spend a lot of months or years to write your ebook. You can complete ebook contain 40-90 pages within two to three weeks of time. I strongly recommend you to write your first ebook on your favorite topic which keeps your momentum up throughout the writing process. Publishing process is simple and hassle-free in Amazon KDP. It hardly takes 15 minutes to complete the publishing process provided you have a manuscript, cover image, description and other details ready in your hand. I recommend you to go through this short ebook How to publish my ebook in kindle which guide you phase by phase starting from how to start writing to how to publish your ebook. You’ll get a royalty for every purchase and it varies from 35% to 70% of ebook price. You’ll get 35% royalty if ebook priced between 0.99 & 2.99 USD and greater than 9.99 USD. You’ll get 70% royalty if ebook price is between 2.99 and 9.99 USD excluding VAT and delivery cost. The author having a bank account in countries like the USA, UK payment can be made through wire transfer and there is no minimum threshold amount in order to get paid. For rest of the countries, payment can be made only through pay Check, once you reached the minimum threshold of $100.If you don’t have a US bank account then you can sign up for Payoneer using the special link given below and get $25 bonus when your total transaction crosses $100. Payoneer transfers royalty amount within 2-4 business days to your local bank account once it reaches a minimum of $10. YouTube is the second largest search engine stand next to google. It has grown more than 1000% over the last five years. Statistics shows that 300 hours of new videos were uploaded every minute. One more amazing thing about youtube is it provides constant and free traffic to your videos. Gmail account is the only prerequisite for creating a youtube channel. You can make videos on your favorite niches. You can do videos on various categories like software tutorials, gaming. Short films, cooking and how to do videos, product reviews etc. There are many software veterans who just share their computer screen to teach student through videos and earn online passive income from youtube and live the life as they want. Youtube is not just limited to software professsionals. 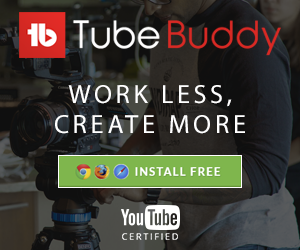 After published two to three videos, you can sign up for Adsense to monetize your channel and start generating online passive income streams from your videos. Google Adsense is a monetization program which put ads on your videos and pays you for that in return. You’ll get paid based on various factors like a number of views, RPM (Revenue per thousand impressions) and click through rates. You can also earn passive income by promoting your own products or someone else product through affiliate marketing. Earnings can be withdrawn to local bank account no matter where you live in the world once it reaches a minimum threshold of $100. 75% of internet content is powered by bloggers. The blog looks like website but it’s quite different. The website contains only pages but blog contains both posts and pages. In order to generate passive income from the blog, at the initial stage, you need to put a lot of constant effort and provide valuable content to your readers. To run a blog constantly, you need one main thing called content that’s why I suggest starting a blog on your interested niche. Your earnings are purely based on the traffic of your blog. To earn passive income- Blog needs Traffic and traffic return Money. To increase traffic, write more blog post with quality content. Here quality means original content which provides value to your readers. You can earn passive income from a blog by showing ads, Affiliate marketing (promoting others products), selling your physical or digital products and numerous other ways. You’ll get to know more about affiliate marketing in the below topics. You can start a blog for free with WordPress or blogger but there are various limitations in those freebies. Google Adsense and Media.net are the two ads platform that can help you to monetize your blog with contextual and image bases ads. If you blog is brand new with few post then I recommend you to sign up for Media.net ads because the approval process for media.net is very easy when compared to Adsense. To sign up for AdSense your blog should meet the basic requirements of google Adsense and nowadays the rate of rejection is quite high. Media.net is best suited for budding bloggers who want to monetize their blog. You can get paid if your threshold crossed $100 . Payment mode is either wire transfer or paypal. Sign up with below link and earn 10% over and above your regular earning for 3 months. You can get a domain name like <yourblogname>.wordpress.com and you cannot remove the brand name WordPress from URL. You cannot customize as you want and overall you can’t add much SEO optimization technique to those free blogs. When you are very passionate to start your blog I always recommend getting a custom domain name and hosting from a well-known provider. Yes, you need both a domain and hosting to start a blog. Domain name gives a name so that other people can find your blog in this internet world and host store your content in the server. You likely have to spend no more than $10 to get a custom domain and hosting for two to three years and with that, you are having full freedom to customize your website layout, template, design structure and many other as you want. As far as I know Namecheap is one of the good providers who is offering both domain and quality hosting at a nominal cost. Createspace is a print publishing company acquired by amazon which helps an indie author to publish and sell their book on various marketplaces such as Amazon (US, UK, and Europe) and other distribution platforms. To put it in simple words it converts your ebook to paperback format and stores it in their database. When someone orders paperback format of your ebook in amazon they’ll print and deliver it. This is what we called as Print On Demand (POD). When you are done with the ebook as stated in first online passive income idea you can try this out to sell your book in paperback format. It’s completely free and you just need to upload the soft copy of your manuscript to CreateSpace and they’ll take care of the rest. If your ebook contains more than 80 pages then I recommend you to try this option. People from US, UK or from any European countries can get royalties with their own bank account and rest other people can get paid only via check if you don’t have a Payoneer. How to get paid from CreateSpace using Payoneer? If you are smart enough to write an ebook then there is no reason that you cannot create an online course. This is another good option to leverage your time and effort by creating and publishing courses once and start generating another online passive income streams. People prefer to take online course or lessons than ebooks because they offer video and audio content rather than just a plain text. Next question is where to publish your online course? There are websites like Udemy and skillshare which sell online courses on behalf of you and you’ll get paid for each sale. You no need to spend a single penny from your pocket to sell your online courses. Instead, they’ll take commission from your sale in the range of 50-90% to host and market your courses. If you are not interested to share commission with them then pick content management websites like teachable which hold your content and deliver it from your blog and they’ll also handle payment gateway as well. But you have to pay a monthly fee instead of sharing the sales commission. Affiliate marketing generates an online passive income stream for promoting other people’s or company’s products. There are three stakeholders involved in the affiliate marketing business model. They are advertiser, publisher and consumer. The advertiser is the owner of the business, product or service that needs to be promoted. The publisher is the person who is advertising the advertiser products through various channels like website, blog, email or youtube. The consumer is the people who comes as a visitor to publisher area and purchase the advertiser products. Publisher earns a commission from the advertiser for each sale made from his channels. Yup! Here your role is a publisher. You just need to promote the advertiser products and get a commission for the sale. First big question is where can I find my advertiser? You can find your advertiser from by signing up to websites like Clickbank and ShareASale for free of cost. Your ads will be like banners, images or text link. You’ll get paid when your audience clicks the ad shown, purchase a product and sign up on advertiser website using your affiliate link. Affiliate link are the special link which leads to advertiser website or product and acknowledges the advertiser that you are referring them using special ID in the link so that you’ll get paid for that. Next question is how can I do affiliate marketing? You can do affiliate marketing in numerous ways. You can show the ads on your blog, insert affiliate link on a blog post, write a review about advertiser product and give affiliate link on your blog to purchase the product. If you are having a facebook page, twitter or Instagram with a large number of friends or audience then you can promote that product on such social websites but never spam them. You can also create a review video on your youtube channel about the advertiser product and ask your visitor to purchase that using an affiliate link. At last! You cannot taste the success of this online passive income streams over a night. It needs dedication, determination and most of all patience to succeed. Let me know which one you are going to pick. Also, I suggest to try out all these ideas and letting me know which works best for you later! Also if you have any other methods to make passive income online then please share it in the comments section! That’ll help everyone reading this post.